Ginbis Shimi White Chocolate Corn Stars are a popular puffy and sweet Christmas snack from Japan! 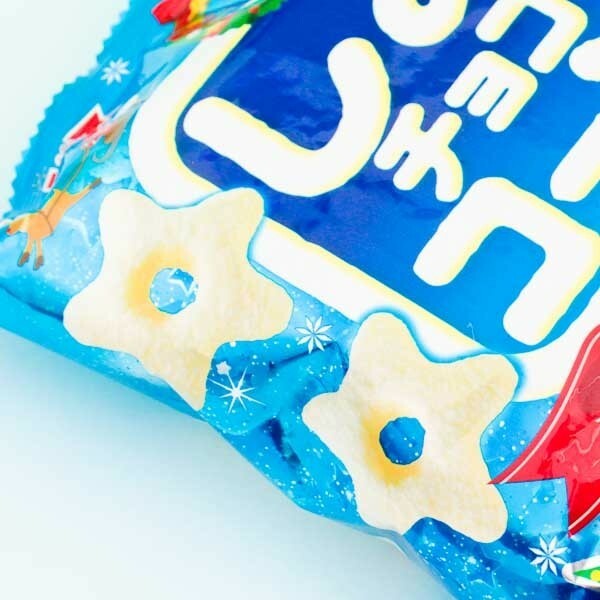 The cute star-shaped corn puff yummies are covered with delicious white chocolate. They are the perfect size for snacking and won't give you sticky fingers. The chocolate melts in your mouth, the corn is crunchy and the taste delicious! 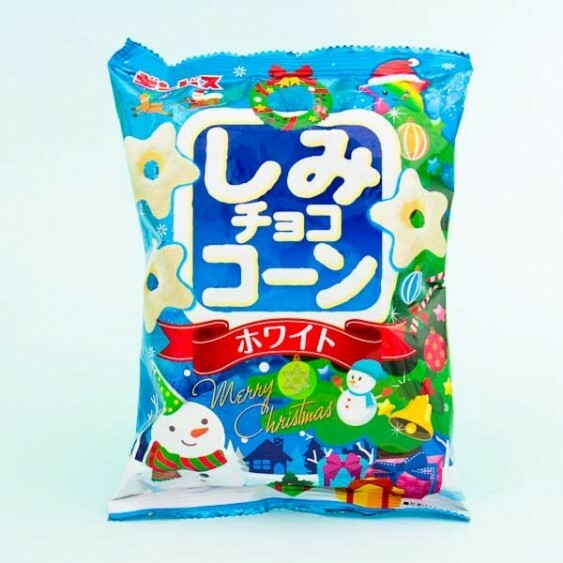 The perfect snack for the holidays.